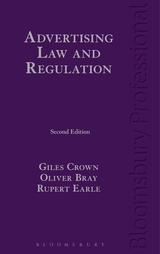 This invaluable guide focuses specifically on advertising law and the myriad rules controlling the advertising industry. It covers all aspects of the law as it affects advertising, from European legislation and copyright law to libel and obscenity laws. It clearly explains the laws, statutes and self-regulatory codes that govern advertising and there are sections given to the specific issues affecting television, radio and cinema. 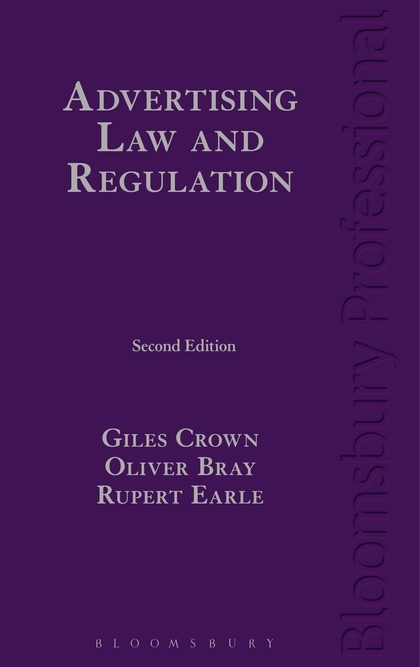 The second edition takes on a more practical and user-friendly structure, with updated and expanded coverage of contract law, breach of confidence, copyright and data protection. Giles Crown is Head of the Media, Brands and Technology Department at Lewis Silkin LLP. Oliver Bray is a specialist in advertising and marketing law, having worked with agencies and major brand owners all his career, including those in retail, publishing, technology, media/new media and food. Rupert Earle has specialised in media, advertising and regulatory law for 20 years.